At ALS we measure success by the satisfaction of our customers. We are committed to providing a level of service that provides customers with the confidence to make timely, accurate and informed decisions based on reliable and accurate analytical data and our service delivery teams are key to this. We recognise that the needs of our customers differ in the different sectors of the environmental market in which we operate and structure our service delivery teams accordingly. Each customer is provided with dedicated account management from experienced customer service coordinators who understand specific market segments and each member of our team is responsible for ensuring the service is delivered to the satisfaction of each customer. Our goal at all times is to provide a reliable, high quality service first time and every time. 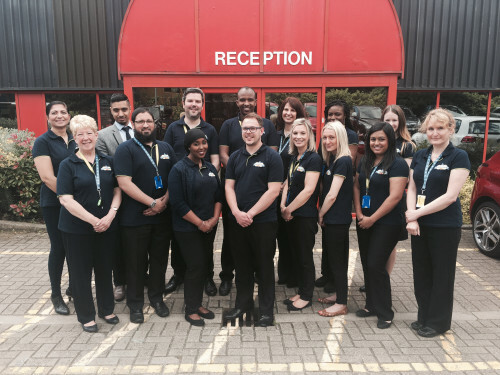 Click here to see our Customer Service team. ALS's reputation as the global leader in the environmental chemistry market is based on the commitment to keep our businesses at the forefront of service delivery in order to gain and retain the trust of our customers. As such we collaborate with our colleagues across the globe on training and educational opportunities to ensure we continually drive service levels to 'best in class'. Put simply, our people are our difference.